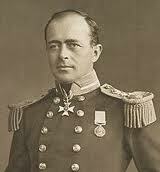 My adoration knows no bounds, and so I begin my post, unashamedly, with an image of Captain Robert Falcon Scott. It is relevant,and fitting but, as is the nature of these rambling posts, you must read on to find the connection. I have been struck recently by the power of association. By how we merge events, feelings and strong emotional experiences in our mind’s eye on the strength of past actions. So, over the past few weeks as my birthday approached, I felt a strange sense of dread and unease, that only really came to light when I spent some time pondering the source of my discomfort. You may recall an earlier post of mine – in fact, almost a year to the day since I posted – On neutropenic sepsis, nightstand central, laughter, family and good friends – 10th May 2013. In that post I was extolling the merits and wonder of the app Nightstand Central, which I discovered during a five day hospitalisation for severe infection, or neutropenic state, during chemotherapy treatment for breast cancer. I was as poorly as I have ever been, if not more so, and so very jaded and tired. and spent the days leading up to my birthday and beyond, in an isolation unit at Warwick Hospital. 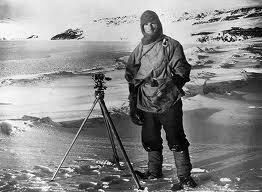 When I knew I was being admitted, I gathered up Scott’s Last Expedition as my treasured possession – although sadly for the most part, I felt too poorly to read or pay attention to anything much at all. The anniversary of that hospital stay has been very much on my mind of late, quite unbidden. I would rather the mind dwelt on happier times, but it seems there is little choice in the matter – the mind strays, where the mind strays. It is hard sometimes, not to look back, whether with delight and great pleasure, or whether in a state of some anxiety and discomfort, as I have been. What has compounded the feeling, somewhat, has been a spate of hospital and GP visits, for check ups, medication reviews and various tests. At one, meeting my oncologist again, sitting in the same chair betwixt the meeting rooms and chemotherapy treatment room, I was as agitated as if I was waiting on the call that sent me filled with horror, for my next chemotherapy session. Logically, of course, I knew that I was there for quite different reasons, but the mind plays such tricks. Recently, in conversation with a young lady who had experienced eating disorders, and severe anorexia, she commented that, despite a full recovery now, she knew that she had not really recovered, but that the eating disorder was waiting in the wings for her, hanging over her life for ever. Her weekly therapy sessions are held in the centre where she was once admitted for treatment, and she described the dread she felt each week, turning up for her meeting. There are so many issues here, it will make at some point, for a separate post altogether. It staggers me to think that anyone could conceive it a good idea to deliver therapy at a place where associations with illness, fear and treatment have taken place. If I found the experience of re-visiting the scenes of my past cancer treatment traumatic, on a six monthly basis, what must it be like for a young person to face that same intense emotional experience on a weekly basis? The past has a power and a hold like no other. We are so dependent on a healthy, fertile, creative imagination to visualize the best for ourselves in our future, and oh – how that ability takes a battering, in times of ill health. During the latter days of my hospital stay last year, knowing that my most precious book, Scott’s Last Expedition, was at my bedside, was enough to make me feel tethered to this world, enough to make me smile and look to the future. Much as we might wish to be always marching forward, the past has a hold and sometimes, it seems wise to linger and contemplate former times. Understanding why our mind takes us back to difficult moments in our past can help us acknowledge the challenges we have faced, and prepare us, so that we may race full steam ahead into tomorrow.